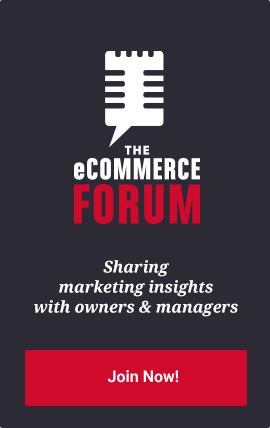 Successful ecommerce sites all have one thing in common: they know their customers. Understanding your customers wants, lifecycle, using social media, UGC marketing platforms, and automated inbound marketing tools are great ways to successfully engage your customers. One of our clients, NW Explorations, knows their customers in and out. Because of this, we’ve been able to increase customer loyalty and sales. Here’s how we did it and how you can do it too! Hopefully you’ve already identified your company’s primary and secondary audience. In the case of NW Explorations, we knew their primary audience was comprised of upper-class men (net worth of $1 million+), ages 50 and older who are interested in boating; and the secondary audience was comprised of upper-class men and women, 25-49 who are interested in training. Understanding who your audience is will help you to determine how to appeal to them. Lucky for you, there are a bunch of user-friendly tools you can use to better understand your audience. One tool is HotJar–a tracking tool that displays your customers wants by using heatmaps and video recordings to visually represent how they interact with your site. Google Analytics is another helpful (and free!) tool that shows customer demographics, interests, website navigation, popular content, and more. 2. Determine your company’s ‘customer lifecycle’. Identifying and understanding the different stages of the journey to becoming a loyal, active customer, and how to market to each stage is an essential component to determining which marketing techniques to implement and how to increase customer engagement. For NW Explorations, the lifecycle begins with the first step, taking a training course. The second step in the lifecycle is to charter a yacht before taking the third step to purchase a yacht. Once the customer has purchased a yacht, we can assume that s/he would likely take the fourth step and join the Charter Ownership program, after which the customer would be inclined to to take the fifth step and service their yacht through NW Explorations, followed by the final sixth step to sell or update his/her yacht. One of the best ways to track and capitalize on lifecycle marketing is using automated inbound marketing tools, such as HubSpot or Autopilot. These tools allow you to map your customer lifecycle and market to customers at the perfect time. 3. Really know your customers and their interests. While the customer lifecycle told us a lot about NW Explorations’ customer base, we still needed a bit more information to determine how to engage customers in the bi-monthly newsletter. To begin our email marketing campaign, we sent out a short survey using Survey Monkey to NW Explorations’ customers and asked them what topics they were interested in. It’s important to remember, the average person is bombarded by emails and advertisements and is likely to spend only a couple minutes filling out a survey, so limit your questionnaire to no more than five questions and make them multiple choice with the ability to add in “other” information at the end. Sending this survey was beneficial for a number of reasons: 1. It communicated that we care about our customer’s opinions 2. It got buy-in from our customers because it made them feel like they had a say and 3. It told us which content people are most interested in, that way we don’t waste time writing unappealing content. This is a great way to involve customers and receive customer provided content. 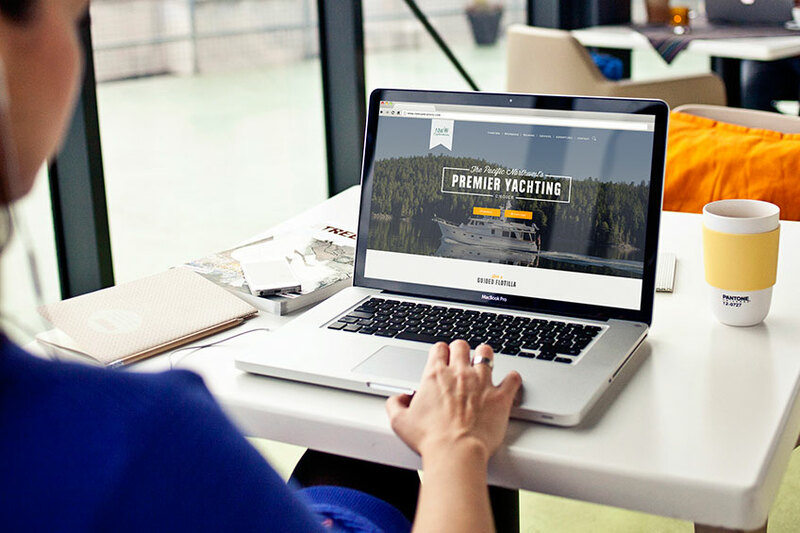 In the case of NW Explorations, one of our bi-monthly newsletters features a “Skipper of the Month” sharing his/her favorite secret yachting destinations, tips and tricks and other topics of interest requested by NW Explorations customers in the survey. Featuring customers makes them feel like they’re a part of our brand, which helps increase customer and brand loyalty. Prior to redesigning the NW Explorations’ website, we immediately added LiveChat–a support software tool–to provide quick and direct answers to customers’ questions, and to add that ‘human’ element. We have continued to see great results with the addition of LiveChat to the new website. 6. Solve your customer’s problems. While most ecommerce sites have a FAQ (frequently asked questions) page, in the case of NW Explorations, we took it a step further and added a Q & A submission section, allowing for customers’ questions and answers to be posted dynamically. This created an ever-evolving Q&A element offering customer solutions beyond what a simple, static FAQ page could ever provide. 7. Take advantage of user generated content. Many ecommerce sites have recently begun to use user generated marketing platforms, such as Offerpop, to increase awareness and conversions. Studies have shown that such marketing platforms increase CTR (click-through rate), engagement and sharing, conversions, encourage customers to spend more time on a site, and return to the site. By adding a UGC marketing platform to the new NW Explorations website, customers are now able to share and comment on photos from their adventures, drawing current customers back to the site and enticing new customers to the site. The ability to successfully understand and engage your customer base can help tremendously to increase conversions, CTR, and encourage your customers to spend more time on your site and return to it. Of course, there are endless amounts of resources out there; what customer engagement tools and tactics have worked for you? Leave a comment to let us know!